Apparently Raleigh Durham has been ranked by www.thedailybeast.com as America's Smartest City. Check out the America's Smartest Cities list here. Here is an article about this from the Huffington post as well. From the article daily beast ranking. Raleigh-Durham has just about every intangible useful in attracting and developing a smart populace: It’s a university hub, including three of the nation’s elite schools (Duke, the University of North Carolina, Chapel Hill and North Carolina State University), and those schools led to one of the nation’s great technology incubators (Research Triangle). 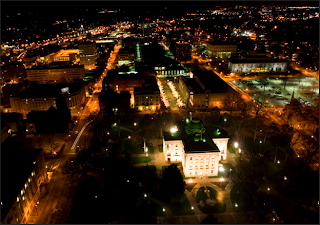 On top of that, Raleigh, as the state’s capital, attracts engaged political minds, as well. “We are fortunate to have great universities in Raleigh-Durham and great ‘smart’ industries that enrich our community greatly,” Raleigh Mayor Charles Meeker told The Daily Beast. Enrichment enough to top our list. The RZA Interview on being a Geek.